Rose Blanche Jeanne Montel, was born in 1902 in Tours, France. She started her acting career when only 11 years old. She specialized in melodramas and comedies, appearing in more than forty theatrical works, thirty movies and nine short films. In 1943 she retired from the stage after her second divorce and started a new careeer as impresario for more than forty years. Blanche Montel died in Luzarches, Val d'Oise in 1998. She was an appreciated actress, a very modern woman and a true sports passionate, who took part and won auto racings and swimming competitions. Blanche Montel was also a fashion addicted. 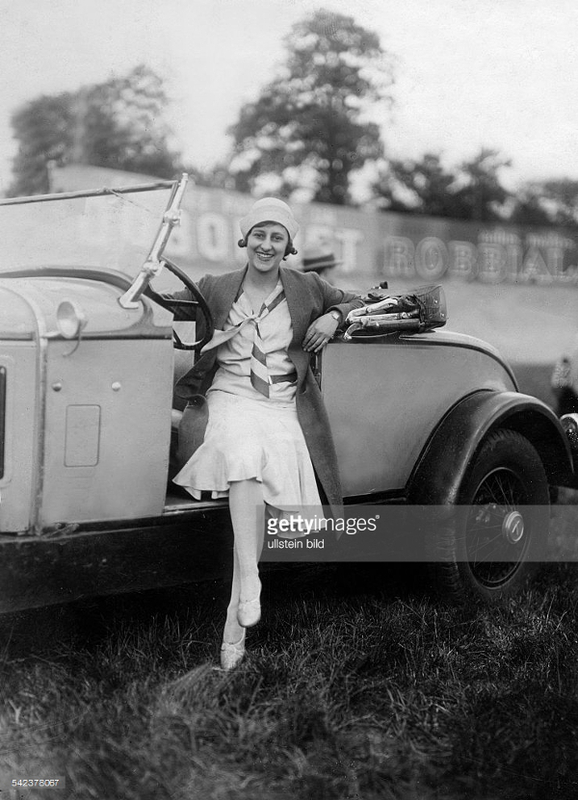 The photograph here below shows Mme Montel at a "driving & elegance competition" in the Bois de Boulogne, Paris. 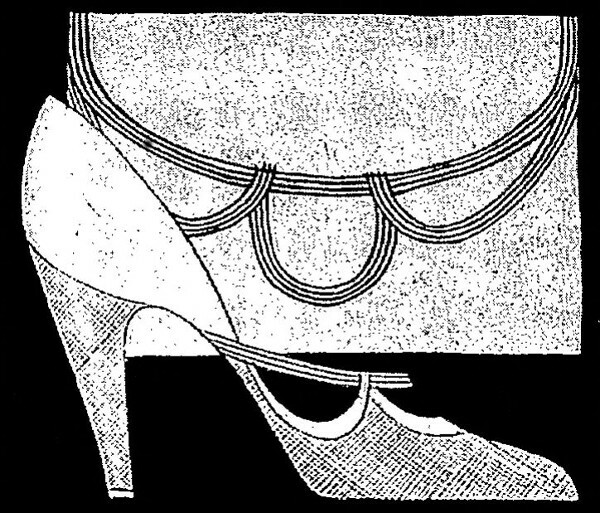 The André Perugia shoes she is wearing were featured the same year in Vogue France. We can't say exactly when Blanche Montel became a Perugia customer. 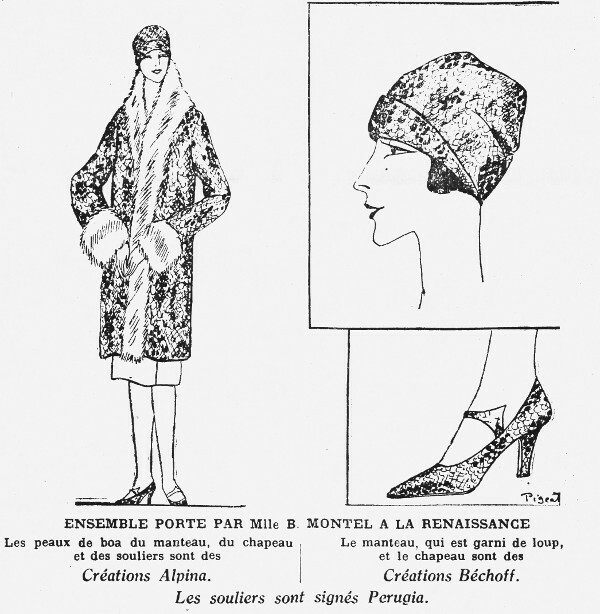 We know that in the early Twenties, she was a testimonial for the millinery house of Jane Blanchot and dressed by the Maison Béchoff; Béchoff was located in Faubourg Saint-Honoré nr. 9, literally next door to Perugia's Saint-Honoré nr. 11. A professional collaboration with André Perugia started in the mid-Twenties. In 1927 she posed for a Perugia advertising campaign and doubled the effect with a campaign for Alpina, the tannery used by Perugia himself. - "Hector" at Theatre Apollo, season 1932. 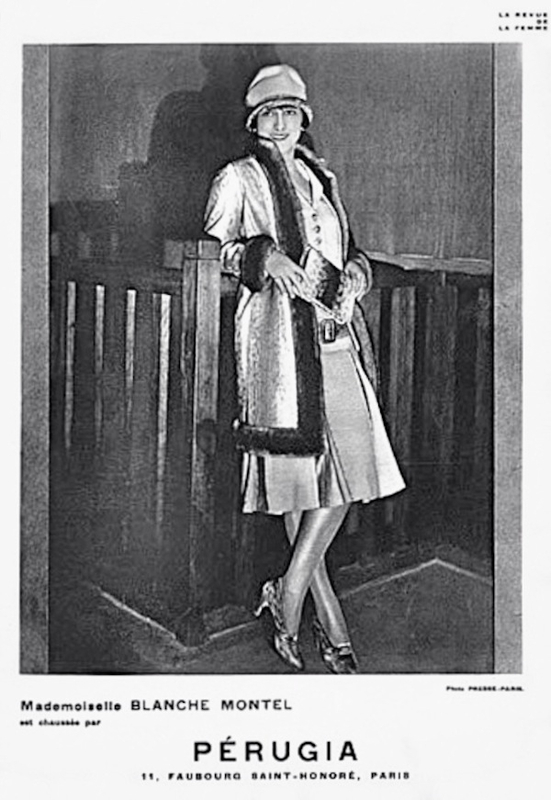 The highlight of the collaboration was in 1927, when Mme Montel surprised the public appearing on the stage at the Theatre de la Renaissance with a long coat - designed by Béchoff - entirely made with boa leather by Alpina with matching shoes by Perugia. 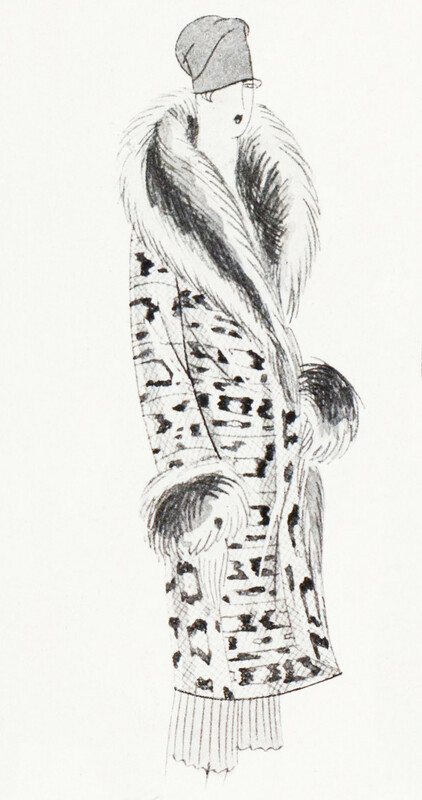 This outfit made headlines in Paris and appeared in many fashion magazines. If there is no authoritative account of the origin of the (lizard/snake skin) craze, there are several Paris personages who are modestly willing to be identified as the pioneers of the new idea. 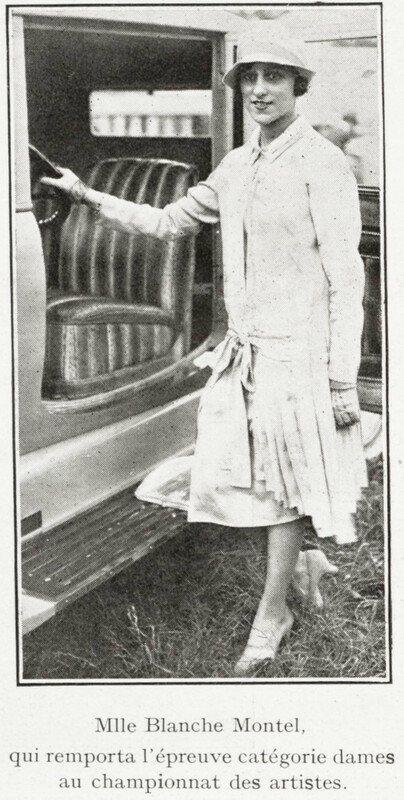 There is Blanche Montel, the pretty boulevard actress, who is anxious for fame as the first wearer of a serpent coat and first owner of a lizard-lined automobile.